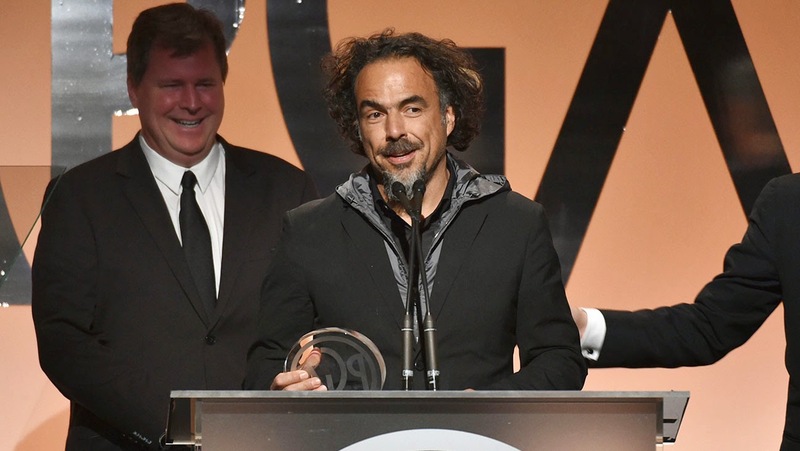 Last night, the Producers Guild of America (PGA) announced this year's winning motion picture, television, and new media productions at the 26th Annual Producers Guild Awards ceremony at the Hyatt Regency Century Plaza in Los Angeles. The Jerry Seinfeld-created web series, Comedians In Cars Getting Coffee won the Producers Guild Award for Outstanding Digital Series. The television program Breaking Bad and its producers Melissa Bernstein, Sam Catlin, Bryan Cranston, Vince Gilligan, Peter Gould, Mark Johnson, Stewart Lyons, Michelle MacLaren, George Mastras, Diane Mercer, Thomas Schnauz, and Moira Walley-Beckett won the Norman Felton Award for Outstanding Producer of Episodic Television, Drama. In addition to its competitive awards, the PGA presented special honors to Lionsgate CEO Jon Feltheimer with the Milestone Award; producer Mark Gordon (Ray Donovan, Grey's Anatomy) with the Norman Lear Achievement Award in Television; producer Gale Anne Hurd (The Incredible Hulk, the Terminator trilogy) with the David O. Selznick Achievement Award in Theatrical Motion Pictures; the HBO television motion picture The Normal Heart with the Stanley Kramer Award; and the production company Plan B Entertainment (Selma, 12 Years a Slave), represented by its principal executives Brad Pitt, Dede Gardner, and Jeremy Kleiner, with the Visionary Award. Tim Wen and Chidi Onyejuruwa and their film Symphony of Senses were also named the winners of the Make Your Mark short film competition, which is presented by the PGA and Cadillac through the Producers Guild of America Foundation. A portion of the winning short film and the producers' names will be featured in a Cadillac 30-second spot that will air on ABC during the Oscars ceremony on Sunday, February 22. The Producers Guild of America presents the 2015 Producers Guild Awards honoring excellence in motion picture, television and new media productions, as well as some of the living LEGENDS who shape the profession. Considered one of the marquee events of the entertainment industry's awards season, the PGA held its first ceremony in 1990 when Richard Zanuck and Lili Fini Zanuck took home the motion picture prize for Driving Miss Daisy, establishing the Guild's awards as a bellwether for the Oscars. In 2014, for the first time in history, the PGA membership honoured both 12 Years a Slave and Gravity with the Darryl F. Zanuck Award for Outstanding Producer of Theatrical Motion Pictures. 12 Years a Slave went on to win the Oscar for Best Picture, marking the seventh consecutive year the Producers Guild Awards predicted the Academy of Motion Picture Arts and Sciences' choice. The Producers Guild of America is the non-profit trade group that represents, protects and promotes the interests of all members of the producing team in film, television and new media. The Producers Guild has more than 6,700 members who work together to protect and improve their careers, the industry and community by providing members with employment opportunities, seeking to expand health benefits, promoting fair and impartial standards for the awarding of producing credits, as well as other education and advocacy efforts such as encouraging sustainable production practices. The 2015 Producers Guild nominated films and television programs are listed below in alphabetical order by category, along with producers. The producers' names for each nominated production are listed in alphabetical order and are not necessarily the proper order of credits. The winners are indicated in bold and with an asterisk (*).